The 18-mile Mount Vernon Trail starts at Mount Vernon, the home of George Washington, and skirts along the George Washington Memorial Parkway and the Potomac River. The trail is 36 miles out and back, so there is the opportunity for a shorter ride. The Mount Vernon Trail is one of several paved multi-use paths in and around Washington, D.C. And it happens to be one of the best. 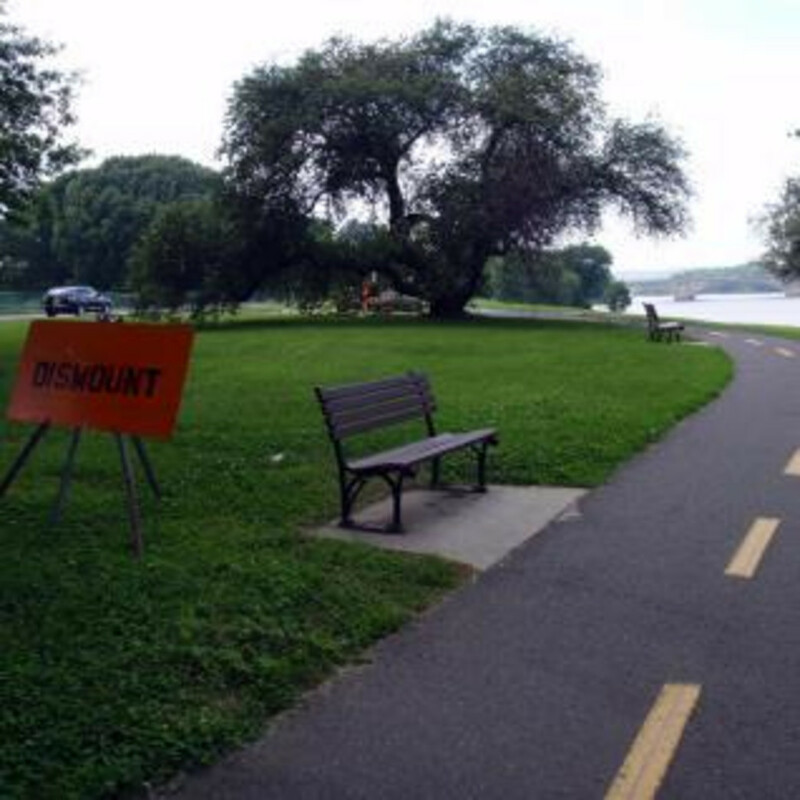 The 18-mile path starts at Mount Vernon, the home of George Washington, and skirts along the George Washington Memorial Parkway and the Potomac River before merging with the Custis Trail at Theodore Roosevelt Island. In between, be prepared for views of D.C. skyline, airplanes coming in and out of Ronald Reagan Washington National Airport, the Potomac River, and more as you pedal your way in either direction. The trail, like others in the D.C. area, allows cyclists to get on their bike and go for a ride around the bustling metropolis that is the nation's capital. It's mostly flat, and there are a handful of wooden boardwalk sections to ride over — so take it slow when necessary, especially in wet weather. There are several places to begin riding on the trail, with parking lots sprinkled throughout the route. A popular starting point, however, is Old Town Alexandria. The historic area has plenty of street parking. Heading either north or south guarantees you a fun day in the saddle. Going north of Old Town takes you past Reagan Airport, while just beyond that is a park called Gravelly Point. Take a rest break here and look up — airplanes will pass right over your head as they either take off or land. Now keep pedaling north and admire the views of the D.C. skyline on your right. Then you'll skirt the eastern edge of Arlington National Cemetery before arriving at the end of the trail on Theodore Roosevelt Island. South of Old Town is more wooded, with less water views. The trail passes Belle Haven Park, another good place to take a break and have a drink or a gel, and then cuts through the Dyke Marsh Wildlife Preserve. After that, the trail crosses over the George Washington Parkway, then crosses back over to the eastern side of the road shortly after. Stay alert in this section. Cyclists looking to ride at a comfortable pace that's not too fast. The trail gets busy, particularly on the weekends around Old Town Alexandria, so it's not for riders who want to drop the hammer. It is, however, a great place to spend a Saturday afternoon with a friend or family member on the bike. Newer cyclists who just want to cruise around will feel right at home on the Mount Vernon Trail. 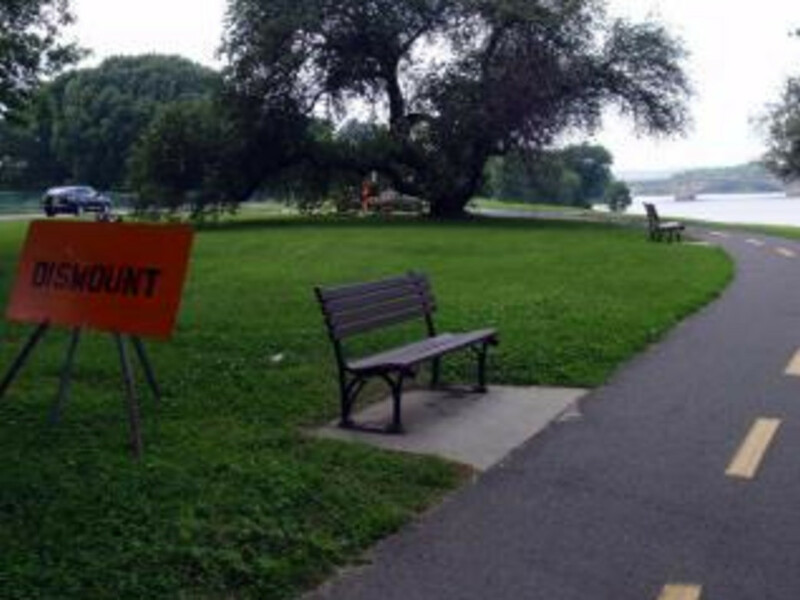 There are several on and off points, but if you can get yourself on the George Washington Memorial Parkway then you won't have too much trouble finding the trail. Our advice is to either start at Theodore Roosevelt Island, Mount Vernon, or Old Town Alexandria.